The penalty regime for late paid PAYE and NICs is under Schedule 56 of the 2009 Finance Act . This applies since 6 April 2010. PAYE (including PAYE Settlement Agreements and determinations). Penalties are charged according to whether the payment is due monthly, quarterly or annually. Payments made for tax years up to 2009-10 and made later than April 2010 are made under the different rules. Should receive an automated warning letter when a payment is late. A manually generated penalty notice will be issued by HMRC for second and subsequent defaults. Automatic late payment penalties did not apply for 2014-15, however HMRC would assess Sch 56 penalties in cases where employers are consistently late making payment. HMRC can only notify a late payment penalty charge after the end of the year when a reconcilation is made. HMRC has up to two years after the late payment occurred to issue a penalty letter. HMRC introduced a new system for Real Time PAYE reporting (RTI) in April 2013. 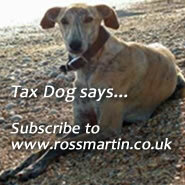 The Tax Tribunal has taken issue with the unfairness of HMRC's conduct. If a payment is made even one day late document the reason why. Ensure that evidence is retained to prove why a payment was late. Keep evidence even if only a day late. Make payment as soon as possible, however, don't pay off earlier penalties first: you may be making the position worse. Consider very carefully whether to add references on payments: you may payments to be allocated differently later. Do negotiate a time to pay agreement as soon as you think that they might be late. Smaller (and presumably "medium sized") employers may find that a whole year or longer has elapsed before they are aware that a penalty has been charged. The employer to contact HMRC if it considers that it has cashflow problems and needs time to pay. It should do this before it defaults. The employer should create adequate systems to confirm when a payment is made, should it be necessary to appeal penalties. Employers can set up reminders for key HMRC payment dates using standard email and calendar software. Where there is broadband failure keep a record of times and dates. HMRC is unable to accept faster payments. Penalties may make a company balance sheet or cashflow insolvent (when eventually levied): directors and advisers should ensure that they are accrued in the accounts as incurred. Directors will need to review late payments and keep abreast of the position, if there is a danger that it is close to trading insolvently, particularly if the business is experiencing cashflow problems. The effect of uncharged penalties or appeals lodged at the balance sheet date will need to be appraised when the accounts are signed off. Care is needed to work out if any penalties are due when a business ceases trading and these will need to be fractored into tax covenants and warranties when a business is bought or sold. There may be a substantial delay between a company ceasing in business and the time that it can be struck off the Companies Register. If HMRC delays raising a penalty notice it will presumably be unable to give clearance to Companies House to proceed. Advisers should discuss the new regime with clients and update engagement letters accordingly. Penalties apply if you are only a day late. The regime is different than the VAT penalty regime, penalties increase according to the number of periods in which a payment is paid late. See PAYE late payment penalties buster for practical tips. If HMRC think it right because of special circumstances, they may reduce a PAYE late payment penalty. There may well be a reasonable excuse for not having the ability to pay on time - failure of a major customer, bank lending etc. An employer may appeal a penalty if it has a reasonable excuse for making late payment. The amount of penalty depends on whether payment is due on a monthly or quarterly basis, or annually. For late monthly and quarterly payments the penalty will start at 1% of the late amount and will increase to 4% depending on how many more times a payment for a period is made late. There will be no penalty if only one payment is late in any tax year, unless the payment is more than six months late. Unless a payment is more than 6 months late, the amount of the penalty will depend on two things: how much is late and how many times payments are late in a tax year. Total amount that is late in the tax year (ignoring the first late payment in that tax year). 5% if more than six months late. A further 5% if still not paid after 12 months. HMRC may charge up to three penalties of 5% of the amount that is late, depending on the length of time that the amount is not paid in full. Interest is charged on late payments. JKL Ltd employs 40 employees, its payments to HMRC amount of £34,000 per month. Its payments for April and May 2015 were on time, June was 1 day late, and the payments for July to December were 1 or 2 days late. The delay was caused by a new member of staff who did not understand the significance of the different payment dates. Note that the additional recalculation of the first penalty - it increases each time by 1% and so seems controversial. This appears to extend these penalties in a way not envisaged in HMRC's Powers consultation which seems unfair to those caught out. Can I appeal against a penalty? See Tax penalties: grounds for appeal for a review of what the Tribunals consider is reasonable as an excuse. Penalties are automatic (and computer generated) but an employer may appeal if it has a reasonable excuse for making a late payment. A reasonable excuse is not defined in statute, so a case may turn on its unique circumstances. Lack of funds is not generally a reasonable excuse unless attributable to events outside the taxpayer's control. Reliance on third parties is not a reasonable excuse unless the taxpayer took reasonable steps to avoid the failure. A taxpayer may also appeal on grounds that the penalty is disproportionate to the offence. If HMRC think it right because of special circumstances, they may reduce a penalty. The Tribunal may confirm or cancel a penalty, or substitute for HMRC’s decision another decision if HMRC had the power to make it. The Tribunal can only rely upon the “special circumstances” provision if it thinks that HMRC’s decision in that respect was flawed. The Tribunal must then consider whether HMRC acted in a way that no reasonable body of commissioners could have acted, or whether they took into account some irrelevant matter or disregarded something to which they should have given weight. The Tribunal should also consider whether HMRC have erred on a point of law. Penalties will not be charged once payments are within the scope of a TTPA. PAYE payment and penalty queries (or technical and investigation support), please contact the Virtual Tax Partner support team.